No courses offered in this category. This course focuses on the development of media arts skills through the production of art works involving traditional and emerging technologies, tools, and techniques such as new media, computer animation, and web environments. Students will explore the evolution of media arts as an extension of traditional art forms, use the creative process to produce effective media art works, and critically analyze the unique characteristics of this art form. Students will examine the role of media artists in shaping audience perceptions of identity, culture, and values. This course emphasizes the refinement of media arts skills through the creation of a thematic body of work by applying traditional and emerging technologies, tools, and techniques such as multimedia, computer animation, installation art, and performance art. Students will develop works that express their views on contemporary issues and will create portfolios suitable for use in either career or post secondary education applications. Students will critically analyze the role of media artists in shaping audience perceptions of identity, culture, and community values. LoveFunART is an arts education institution for adults. If you love to create with your hands, if you are eager to learn art and design, or maybe you believe you are an innate artist, come and join us right now! If you want to go to art universities, we also can help you for your art portfolio. Let's paint, laugh and have fun together! This course provides an overview of the importance of international business and trade in the global economy and explores the factors that influence success in international markets. Students will learn about the techniques and strategies associated with marketing, distribution, and managing international business effectively.This course prepares students for post secondary programs in business, including international business, marketing, and management. This course investigates the nature of the competitive global economy and explores how individuals and societies can gain the information they need to make appropriate economic decisions. Students will learn about the principles of microeconomics and macroeconomics, apply economic models and concepts to interpret economic information, assess the validity of statistics, and investigate marketplace dynamics. Students will use economic inquiry and communication skills to analyze current economic issues, make informed judgements, and present their findings. is intended to prepare students for the compulsory Grade 12 university or college preparation course. This course draws on a variety of themes to promote extensive development of reading and writing skills and to reinforce oral communication skills. Students will gain a greater under standing of French-speaking cultures in Canada and around the world through their reading of a variety of materials, including a short novel or a play. 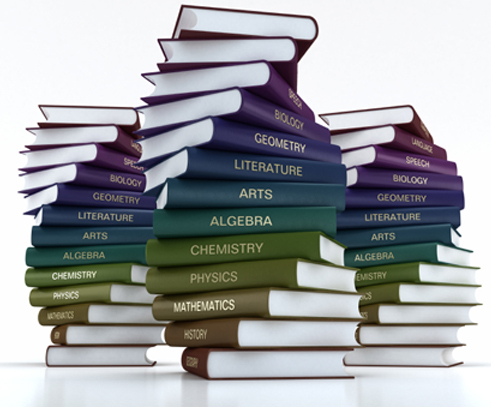 Students will produce various written assignments, including a formal essay. The use of correct grammar and appropriate language conventions in both spoken and written French will be emphasized throughout the course. This course builds on students’ previous experience with functions and their developing understanding of rates of change. Students will solve problems involving geometric and algebraic representations of vectors and representations of lines and planes in three- dimensional space; broaden their understanding of rates of change to include the derivatives of polynomial, sinusoidal, exponential, rational, and radical functions; and apply these concepts and skills to the modelling of real-world relationships. Students will also refine their use of the mathematical processes necessary for success in senior mathematics. This course is intended for students who choose to pursue careers in fields such as science, engineering, economics, and some areas of business, including those students who will be required to take a university-level calculus, linear algebra, or physics course. IELTS score is necessary for university admission. Our accessible and convenient IELTS locations, offer tests up to four times a month. Tests are held on Saturdays and Thursdays. IELTS is a test developed by the world’s leading experts in language assessment on four key English language skills: listening, reading, writing & speaking. It is designed to assess the language ability of people who aim to study, work, immigrate & integrate into an English-speaking environment. IELTS, the International English Language Testing System, is designed to assess the language ability of people who want to study or work where English is the language of communication. IELTS is recognised and accepted by over 10,000 organisations worldwide, including universities, employers, professional bodies, immigration authorities and other government agencies. For those students who need to finish an accredited credit course faster or slower, or are unable to attend our regular classes, Future Skills High School offers Private Credit Courses. Private courses allow students to complete accredited high school courses, usually faster or slower than our normal term. Where feasible, the course can be fitted to their own schedule. Faster does not mean taking short cuts. Please refer to our Fee Table for Private Credit Course Cost.